Delicious! Street Tacos have 1 tortilla but it is a large size tortilla, a little too much cilantro BUT served hot and fresh. We enjoyed the carne asada which was well marinated with great flavor! The refried beans are a little runny for my taste but the actual taste is divine! I would recommend this place for sure! food is always fresh and fast here. i was literally handing the cashier my money and there was a man handing me my tacos as my change was being put in my hand. AWESOME food and a good atmosphere. A great stop for delicious tacos. Service was fast, drinks were good, it was perfect weather for their patio. They also deliver, which may be dangerous for the waist line, but worth it. Friendly , nice patio. Good food ! 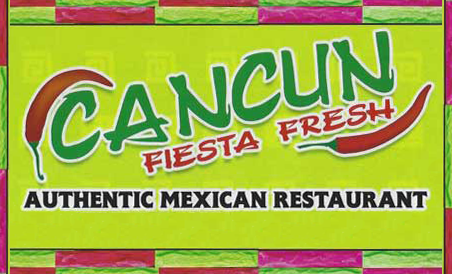 Get the best Tacos & Mexican Food for reasonable cost @CANCUNS. I love the street tacos! Park steps away, get your food within five minutes, always really good. Lunch with frosty cold beer for about ten bucks. Good tequila selection too. Lots of excellent salsas. Street tacos are the life here!!!! We love this place. Gold Margarita is quiet tasty. Only dislike is the inconsistency of the queso dip. Sometimes extremely spicy sometimes bland. Everything else is great and owners are very nice! This is our favorite place to enjoy good Mexican food in Kansas City. Highly recommended. Had this delivered tonight and was really impressed. Affordable, delicious, and fast. Really loved the chrorizo street taco, and chicken taquitos. Looking forward to trying their whole menu and visiting in person soon! The rice tacos are SOOOOOOOO good. The people are always friendly and it takes less than five minutes to get your food from the time you’ve ordered. Take-out: Really good street tacos, refried beans and salsa - we tried their standard salsa and salsa verde. The hard shell tacos and rice were so-so. One of the better Mexican food joints we've had in a while! I imagine it's more enjoyable dining in, but it's nice to know I can get good mexi take-out! Really enjoyed the tamales and the cheesecake. I'll come back next time I'm in the area. Great food and delivery to out hotel was quick even in start of ice storm. Ate here today for lunch. The owner was running the counter. Professional and delicious lunch. Meat was fresh and well seasoned. I've been going to Cancun Fiesta Fresh for some years now. I have never had a bad time. The food is good, the salsa is amazing and they even make their hot salsa hot! Fish tacos are fantastic, people are friendly and service is fast. Oh and I would be crazy to not mention that I fed a family of three with 23$. We come every week for Taco Tuesday! It's our favorite day of the week! Staff is friendly and fast they have the best churros, made fresh and served with whipped cream! I love Taco Tuesday, this is my favorite little spot. I've only been here in the summer and sat outside. Quesadillas are very good, the service is polite and efficient. If you want the Spring Break experience, but your money clip is a little light, skip the trip, because the real trip is right here in KC!Cancun is a party! Personally my favorite Mexican restaurant. Delicious and afforable, and fast service!i always refer people to your restaurant and never had 1 single problem!! Great atmosphere, courteous employees and food fresh and made to order. You must get a Mango Margarita . Delicious!!! When we can't decide on a plan, we go here. Consistent and yummy. Try the carnitas tacos. Not a ton of indoor seating so sit outside if the weather is good or take to go! Absolutely amazing!!!! We will definitely be back!!!! Had lunch with friend and enjoyed my street tacos. Tasty street tacos, good value for money.